After my 2012 blog post about the Atoma and the M by Staples’ Arc notebooks1 I have been asked more than once whether the Staples ‘desktop punch’ can be used for the Atoma system. The short answer is that it works well. 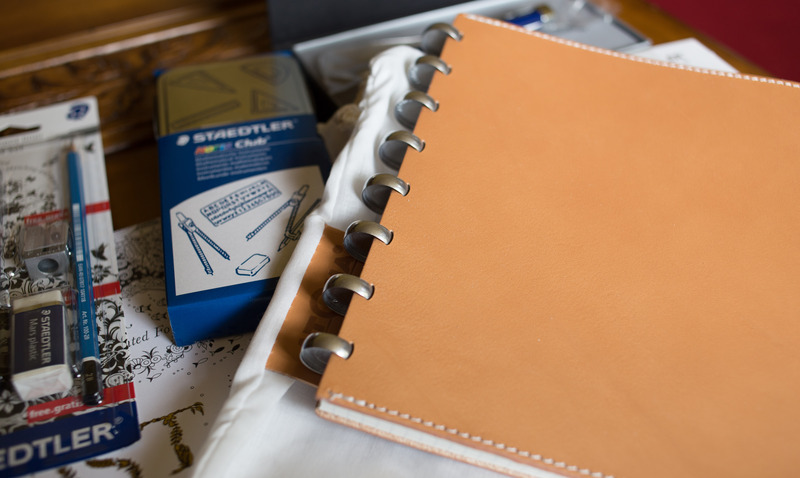 Not surprisingly holes punched with the Staples desktop punch, when used with Atoma discs, seem a bit worse than the original Atoma holes4 – but in my opinion Atoma makes the better notebooks, while Staples makes the affordable paper puncher, so I will stick with this combination. 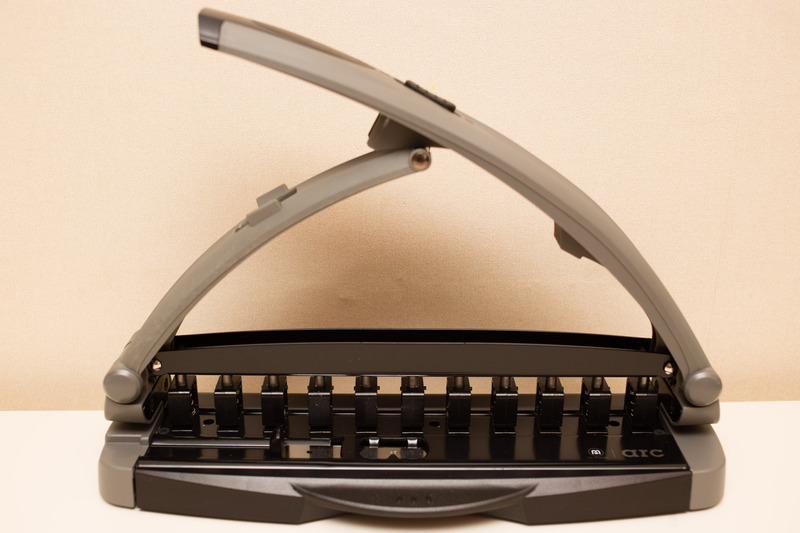 The M by Staples arc desktop punch is sturdy and well made in Taiwan and can officially punch up to 8 sheets in one go. If you want to read more about Staples’ Atoma clone have a look at the Arc It Blog (not updated anymore). As usual: open in a new tab/window to see the images in high resolution (except the last image). Sorry for the recent inactivity on my blog. I had a few days off over Easter and work as well as the baby (or should I say the toddler) have kept me very busy, too. There are a few half finished blog posts I hope to complete soon. Work wise a new task / project will start soon. 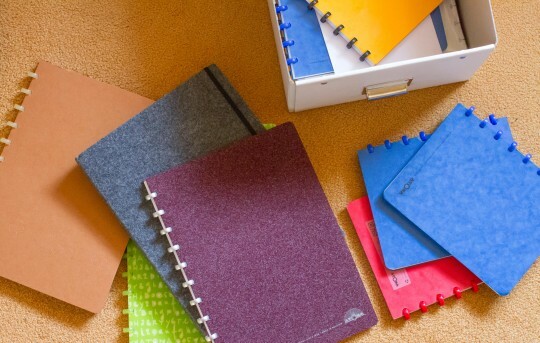 It will probably go on indefinitely, so I am just thinking which of my unused Atoma notebooks I should start using for that task. I want to go with Atoma as I have often regretted using a Red’n’Black notebook for another project, which meant I couldn’t add sheets afterwards, or add printouts in a meaningful way. 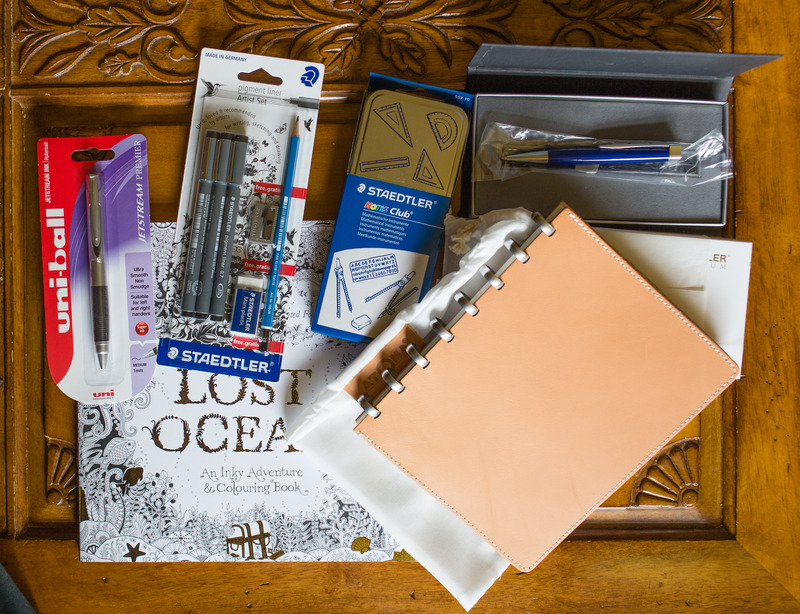 I tried to get hold of an Atoma notebook for a while now. 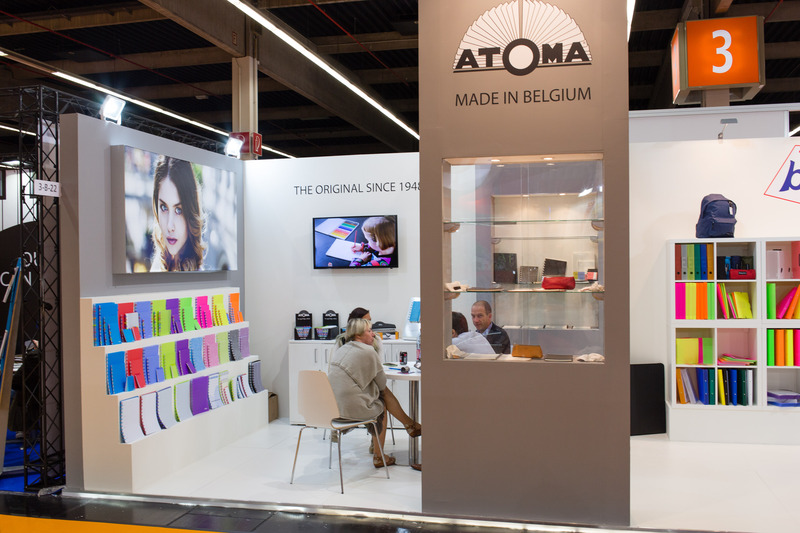 Atoma notebooks are quite common in Belgium where they were first produced in 1948. 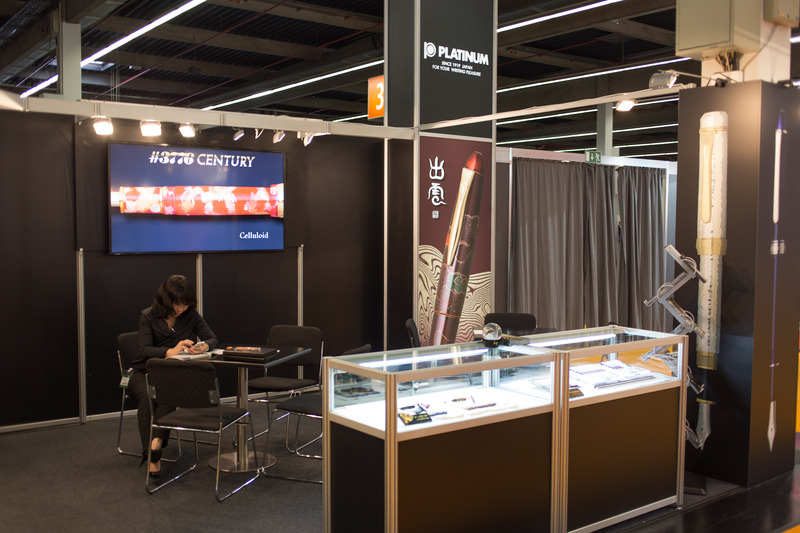 Despite their popularity in their home country they are not very well known outside Belgium, not even in the neighbouring countries. 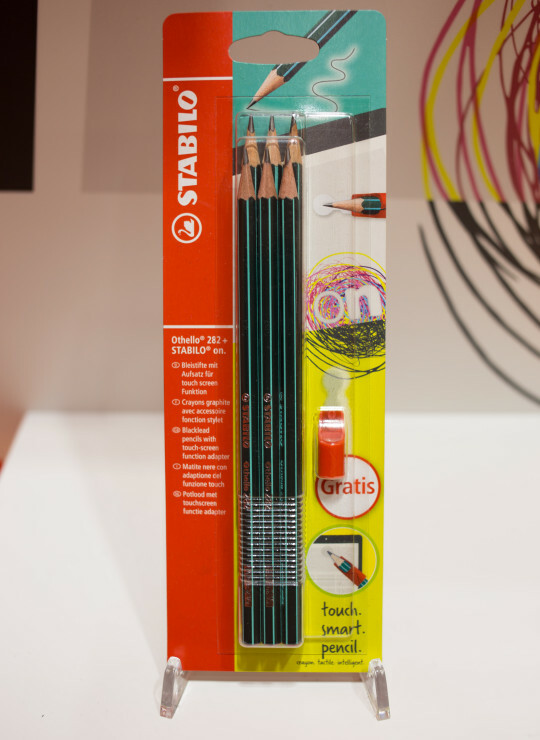 I haven’t seen them in shops in the UK or Germany and some Dutch friends I asked haven’t seen them in the Netherlands either. 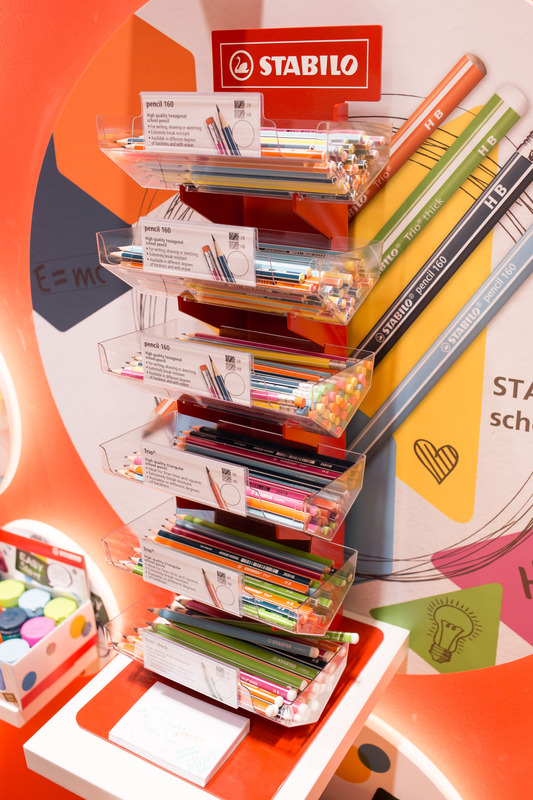 No wonder: 80% of more than a million notebooks produced every year stay in Belgium. 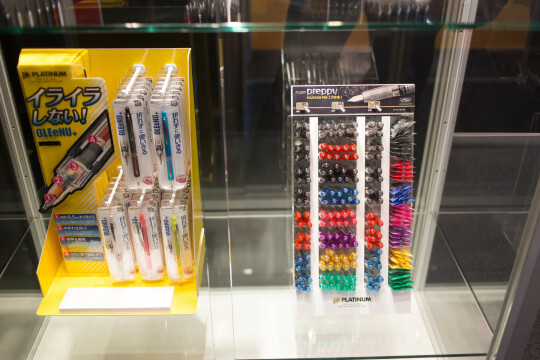 The company behind Atoma did not extend their patent when it expired in the Nineties, so copies are now available from many companies: There’s Levenger’s Circa, Aurora’s Adoc, Clairefontaine’s Clairing, Elba’s Vario-Zipp, Staples’ Arc and there’s Rollabind. 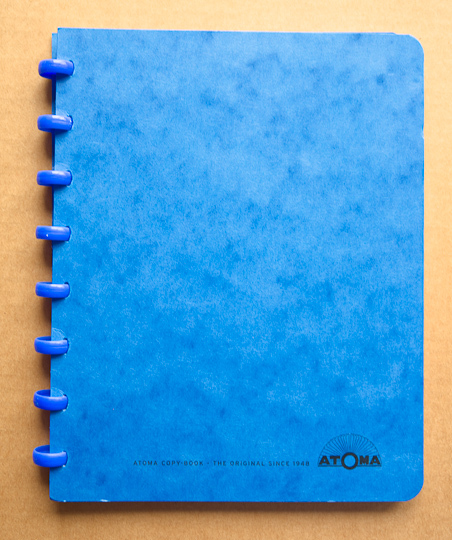 The pages of the Atoma notebooks are being held together by plastic discs. The discs are holding the sheets of paper through special Atoma shaped ‘holes’1. You can remove sheets from the notebooks or swap the sheets around, just like you can in a ring binder. One advantage of this system over a ring binder is that the notebook can be folded over. 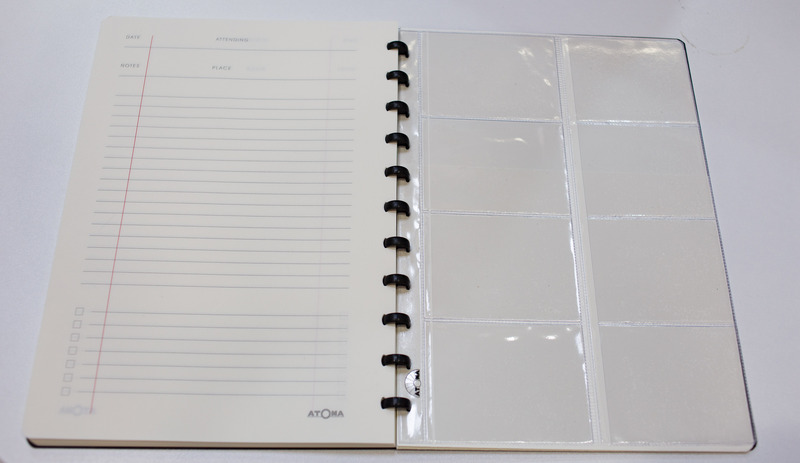 Another advantage is that an Atoma notebook, compared to a ring binder, is using less space because you don’t need the surrounding folder. 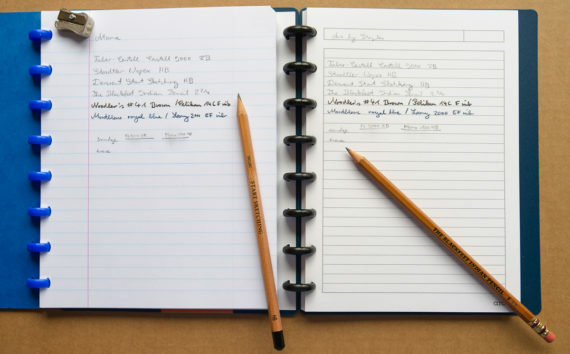 The ring binder will also take away space even if empty2. One disadvantage of the Atoma system is that you cannot label the spine of a notebook. 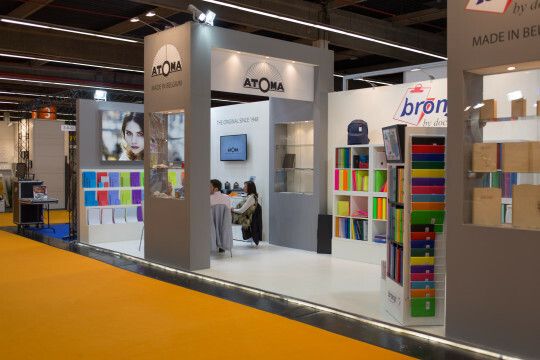 There are two shops in the UK selling Atoma notebooks: Craft & Party Direct and Manufactum, but I didn’t order my Atoma notebook from either of them. Craft & Party Direct charge a lot for shipping and Koralatov and Iain pointed out that they had bad experiences when ordering from this company in the past. 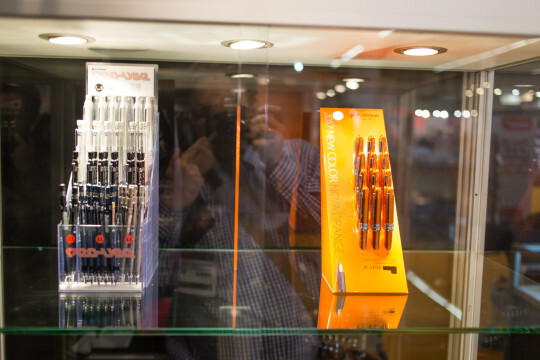 Manufactum charge too much for shipping, too, and they have a ridiculous conversion rate for their UK prices, charging UK customers 35% more than for exactly the same product from their other online shops – that is on top of their expensive prices in the first place. 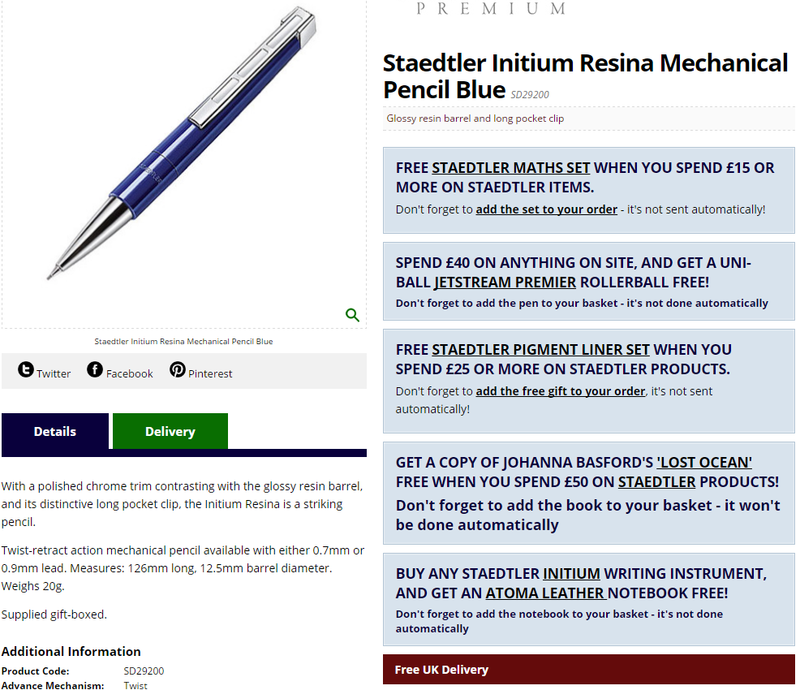 Manufactum’s other online shops in Europe are set up in such a way that UK customers cannot order from them – very annoying. This plus other bad experiences3 with them made me avoid Manufactum in this case. 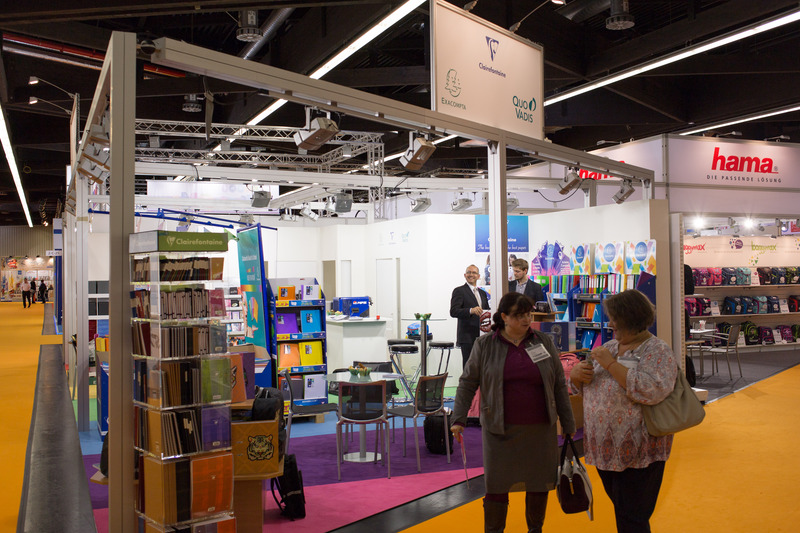 In the end I ordered my Atoma notebooks from the International School of Brussels (Link updated). The notebooks were only €2.50 (~ $3.07; £1.96) each and shipping to the UK was free, so I only paid €5 for the two notebooks I ordered. The same order with Craft & Party Direct would have cost me £10.45 (~ $16.40; €13.35), five times as much. Manufactum’s Atoma notebooks are made of more expensive materials, so a direct price comparison wouldn’t make sense. 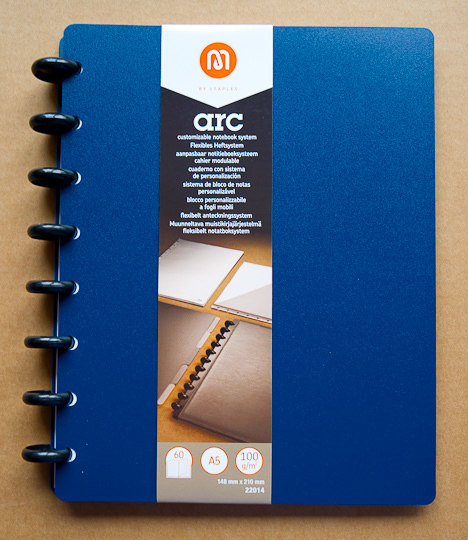 I also bought one of M by Staples’ Arc notebooks in my local Staples4. 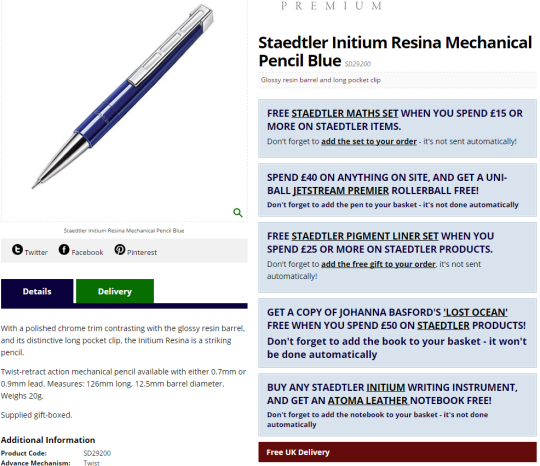 With a price tag of £5 (~ $7.85; €6.39) it was more than twice as expensive as an Atoma notebook. 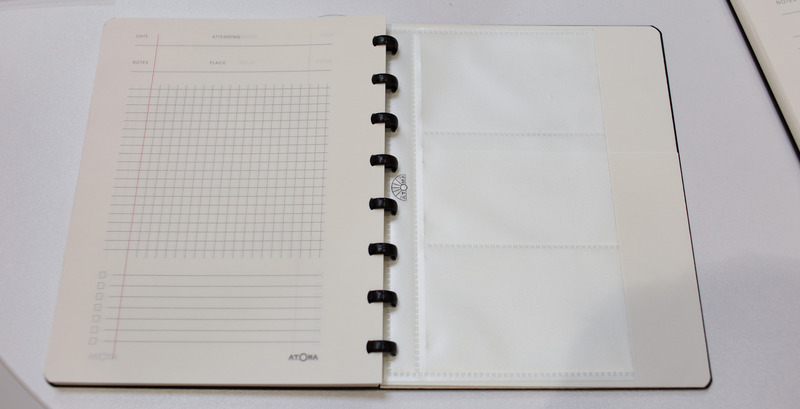 The Atoma A5 notebook is made in Belgium and came with 72 sheets (144 pages) of “ink-loving 90g/m2 ledger paper”. 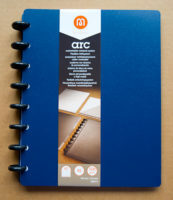 The A5 Arc notepad is made in China and came with 60 ruled sheets of 100g/m2 paper. I like the fact that it came with a name/index sheet, but I am not keen on the white border on each page. There is a lot of choice when it comes to covers and cover material, for both, Atoma and Arc. 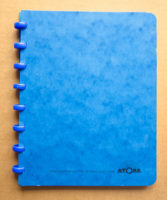 The cover of the Atoma notebook I bought is made of cardboard, while the Arc cover is made of polypropylene. The paper of the Atoma notebook is rougher. 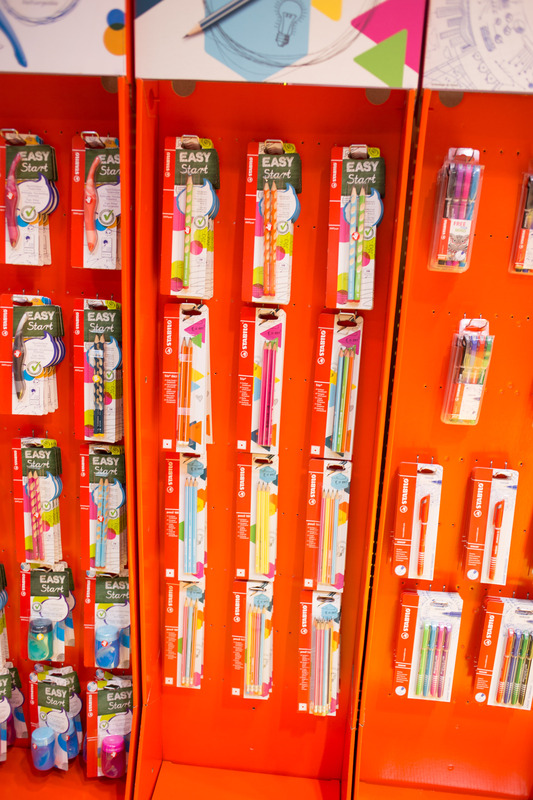 Writing on it is nice and the paper absorbs the ink quickly. The surface of the Arc paper is smoother, but ink takes longer to dry than on the Atoma paper. The ink doesn’t show through the reverse of the Arc pages as much as it does on the Atoma paper, but both papers are suitable for ink. 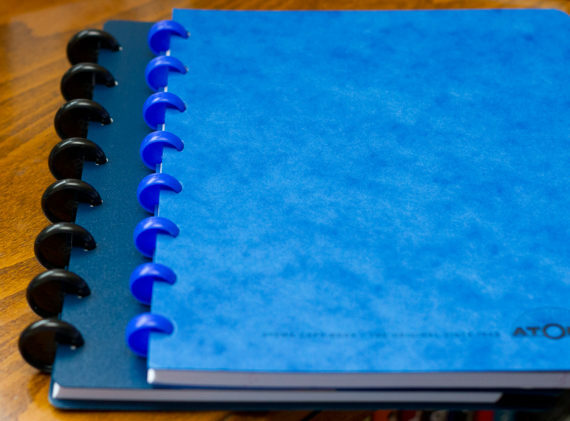 The rings of the Arc notebook are bigger, which means they will probably be able to hold more sheets of paper, but that also makes the notebook bigger, even if you don’t use too many sheets of paper. 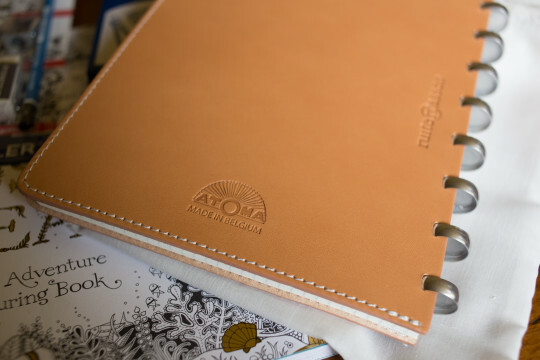 Aesthetically I find the Atoma ring size nicer and more suitable for the number of sheets of paper these notebooks come with. 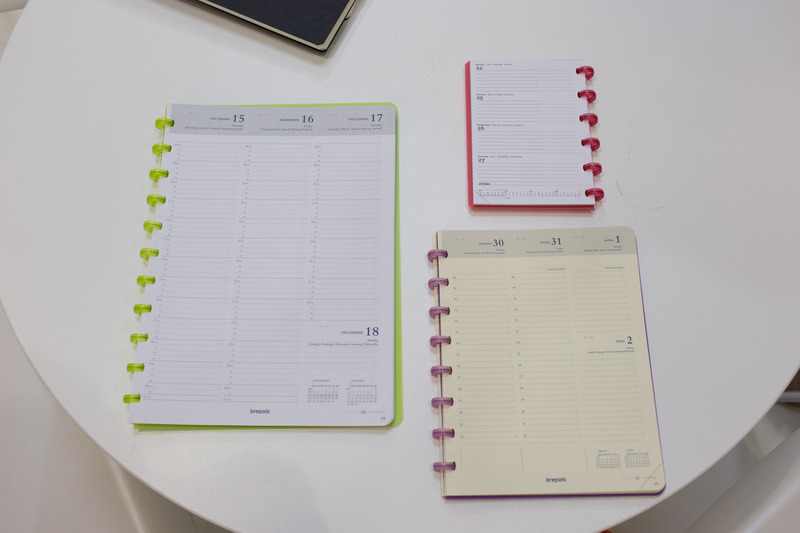 Both notepad are nice. I like the disc binding mechanism as it has several advantages over ring binders. If I had to choose between the Atoma and the Arc I’d go for the Atoma notebook. Not because it’s cheaper, but partly because I am not a big fan of polypropylene covers and prefer the Atoma’s cardboard cover. I also prefer the size and therefore look of the Atoma’s discs. Paper-wise the Arc’s paper seems to be better quality than the Atoma’s paper, but I haven’t used it long enough to be sure. My last reason for preferring the Atoma is that I prefer sheets without such a big white border. Prices and exchange rates: August 2012. 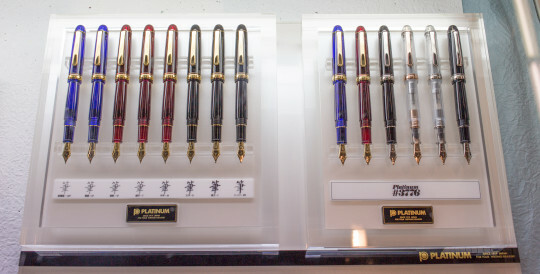 I would like to thank Sean for the Blackfeet Indian Pencil seen on the last photo.